Things to do in Pigeon Forge Tennessee | Shows, Attractions, and more! Pigeon Forge has become one of the most popular vacation destinations due in large part to the vast number of fun things to do! There are numerous attractions, shows, go karts, putt-putt, amusement parks, and so much more providing the perfect fun getaway for people of all ages. Below, you will find a variety of some of the best things to do in Pigeon Forge, TN which also includes some free things to do as well! While there are plenty of fun things to do in Pigeon Forge, the most popular are the amusement parks, water parks, and other large attractions that draw millions of visitors each year. Attractions in Pigeon Forge such as Dollywood, Splash Country, WonderWorks, and The Island in Pigeon Forge offer all sorts of things to do for people of all ages as shown below. Located right across the street from the Great Smoky Mountains, National Park! 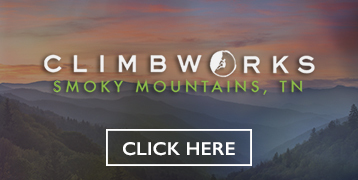 Climb Works gives its guest the opportunity to see the Smoky Mountains in the air. Also check out their new Mountain Biking course! The Track is a sprawling multi level family fun race track with arcade games, mini golf & bumper cars! Check out the link below for the best deals! Buy tickets online now & SAVE $10 when you spend $50+! Enter code GO-KARTFUN8. Available online only. collection of famous cars and click & print our coupon for $2 off per person! Dollywood – Dollywood has been the centerpiece attraction in Pigeon Forge for years and it just seems to get better every year with new rides, shows, and all sorts of ways to keep raising the bar! Dollywood features live shows with music & dancing, roller coasters, water rides, kid’s rides, festivals, fantastic food, and so much more. We’ve actually put together a guide that provides some of the highlights along with their schedule and how to find coupons and discounts! Click here to see our guide for Dollywood. Splash Country – Dollywood’s Splash Country is extremely popular waterpark that is based on Dolly Parton’s childhood memories of swimming and playing in the waters of the Great Smoky Mountains where she grew up. Splash Country added a water coaster in 2013 called RiverRush that combines the thrills of water slides and roller coasters for a unique experience! We created a guide showing all the rides, height requirements, schedule and coupons to show how to save money and have the best time! Click here to see our Splash Country guide. WonderWorks – WonderWorks is a Pigeon Forge attraction that you can go in and spend hours exploring as it features all sorts of interactive exhibits and things to do that people of all ages love! It has an indoor rock-climbing wall, indoor ropes challenge course, bubble lab, and tons of things to do for hours of fun. Being indoors, WonderWorks is a popular thing to do in Pigeon Forge if the weather is yucky! Be sure to check out our WonderWorks guide on how to find the best coupons and discounts! Click here to see our WonderWorks guide. The Island in Pigeon Forge – The Island in Pigeon Forge is the newest attraction in Pigeon Forge with arguably the most impressive and noticeable ride in the Smokies – the 200ft tall Great Smoky Mountain Wheel! The Great Smoky Mountain Wheel is a 200ft ferris wheel with enclosed gondolas which provide the best view of Pigeon Forge and the Great Smoky Mountains. The Island in Pigeon Forge also features restaurants, shopping, and other forms of entertainment as well. Click here to see our guide for The Island in Pigeon Forge to see everything there is to see and do! One thing that Pigeon Forge has become popular for is go karts and racetracks! It seems like each year a new one comes to town or an existing one creates a new track. There are plenty of places to race go karts in Pigeon Forge depending on how fast, how big, and how crazy you want to go. Below, we highlight some of the most popular go karts and racetracks in Pigeon Forge, TN to give you an idea of which ones to try! Xtreme Racing – Xtreme Racing Center of Pigeon Forge offers the fastest go karts in Pigeon Forge with speeds up to 40mph! It is coming soon to the parkway in Pigeon Forge and will likely be the most popular go karts in town featuring some of the most technologically advanced go karts available. 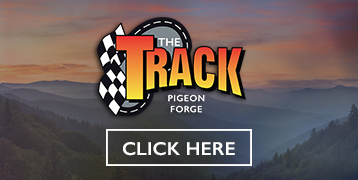 The Track – Featuring fun for the whole family, The Track is one of the most popular Pigeon Forge attractions with multiple go-kart tracks, miniature golf, blaster boats, bumper cars, Kids Country rides, the SkyFlyer, and an awesome arcade. Be sure to check out The Track’s signature ride — the three level Wild Woody go-kart track! For more information and special discounts, click here. The Track – Smokies: Featuring fun for the whole family, The Track is one of the newest attractions in Pigeon Forge with multiple go-kart tracks, blaster boats, Kids Country rides and an awesome arcade. Be sure to check out The Track’s signature ride — the three level Wild Woody go-kart track! NASCAR Speedpark – NASCAR Speedpark is located in neighboring Sevierville and has numerous go kart tracks of all shapes and sizes for people of numerous ages. They have fat oval tracks, road tracks, slick tracks, and more along with numerous rides and an arcade. It’s next to Five Oaks outlet mall, which makes this a fantastic thing to do while other family and friends go shopping! For more info and to purchase discounted tickets, click here. Along with go karts, another fun thing to do in Pigeon Forge is to play miniature golf or putt putt. Pigeon Forge has become a popular place for mini golf over the decades with each course trying to outdo the other. There are numerous fun and challenging places to play putt putt in Pigeon Forge and we highlight some of the most popular places below. Professor Hacker’s Lost Treasure Golf – Lost Treasure Golf is located about halfway down the Pigeon Forge parkway and is unique in that it features a “mine train” that takes you around their two miniature golf courses and up a hill to hole #1 where you then play your way down. There are all sorts of obstacles on each hole and the two courses are completely different. For more info, visit: http://losttreasuregolf.com. If you want a Professor Hacker’s Lost Treasure Golf coupon then click here. Ripley’s Old MacDonald’s Farm Mini-Golf – This fun putt-putt course is located at Five Oaks mall in neighboring Sevierville just past the Pigeon Forge line. It has 3 different 18 hole courses featuring all sorts of animated barnyard characters, water features, and interactive elements that make this mini golf course extremely popular for children as well as adults. It’s a great place to have some fun if some of your family or friends plan to do some shopping at Five Oaks! There is also an arcade where you can cool off or warm up depending on the season. For more info, and to purchase discounted tickets, visit: https://pigeonforgetnguide.reservepigeonforge.com/da/ripleys-old-macdonalds-farm-mini-golf. There are a variety of highly entertaining shows in Pigeon Forge featuring live music, dancing, comedy, and more. These shows are popular with people of all ages and are one of the best things to do especially if the weather is bad outside! Check out some of the most popular Pigeon Forge shows below. If you want to knock out two things at one time, then head to one of the popular Pigeon Forge dinner shows where you can eat and be entertained at the same time! Dolly Parton’s Stampede started this popular trend in Pigeon Forge and now there are a variety of dinner shows that are highly entertaining and serve delicious meals that the entire family will enjoy! Below, we highlight some of the most popular dinner shows in Pigeon Forge along with how to get discount tickets in some cases! Dolly Parton’s Stampede – Dolly Parton’s Stampede is the longest-lasting Dinner Show in Pigeon Forge featuring an entertaining “tribute” to the era of the Civil War as it splits the audience into north and south sections in a friendly competition. The meal is delicious, but be advised there is no silverware or utensils provided! Everything can be eaten and slurped with your hands, but it’s good to know ahead of time. The show features highly-skilled equestrians, buffalo, ostriches, and even pigs! It’s a fun experience for the whole family and is something in Pigeon Forge that you should do at least once! Be sure to check out our guide on the best places to find Dixie Stampede coupons and discount tickets by clicking here. Hatfield & McCoy – The Hatfield & McCoy dinner show is located where the former Black Bear Jamboree and has quickly become one of the most popular dinner shows in Pigeon Forge for their variety of live music, comedy, and tasty food. It is loosely based on infamous feud between the Hatfield and McCoy families and provides an entertaining look at “Appalachian life” with some incredibly talented musicians and dancers. For more info and to purchase tickets, click here. If you’re looking for some different things to do outside of the usual amusement parks, shows, putt putt, go karts, etc then there are plenty of other fun things to do in Pigeon Forge! Below are just a handful os more options including ziplines, horseback riding, and whitewater rafting! Adventure Park Ziplines – If you’re looking for an even bigger adrenaline rush, then check out Adventure Park Ziplines which features 9 incredibly fun ziplines spanning over 70 acres with lines ranging from 400ft to 2,000ft! They even offer night-zipping where you can ride the ziplines at night! It’s an adrenaline-pumping experience that families, friends, and groups have a blast experiencing together. For more info, visit their website at https://www.adventureparkziplines.com. If you love a good challenge, then you’ll definitely want to check out Gatlin’s Escape Games! It’s a fun adventure as you’re locked in a themed room where you have 60 minutes to work as team of 2-8 people to piece together numerous clues and find the answer on how to escape! This is a perfect thing to do for couples, families, and friends. If you’ve never experienced the fun and challenge of an escape room before, then check out Gatlin’s Escape Games when you’re in town! Riverwalk Greenway – This new trail has become very popular with locals as it provides a peaceful walk along the river near the parkway in Pigeon Forge. It’s about a 2.5 mile trail that connect The Island in Pigeon Forge with Patriot Park and the Old Mill. What we suggest is starting at one end, walking to the other for lunch, and then walking back. If you walk to the Old Mill, we suggest lunch at The Old Mill Pottery House Café & Grille. If you walk to The Island, then try Timberwood Grill! There are so many things to do in Pigeon Forge that it would be near impossible to list everything! Hopefully this gives you plenty of ideas to plan an exciting trip! If you think there are other fun things to do or Pigeon Forge attractions that should be added to this list, let us and others know in the comments below! Also, be sure to share, like, tweet, and pin this page to share all of these fun things to do in Pigeon Forge, TN with others!